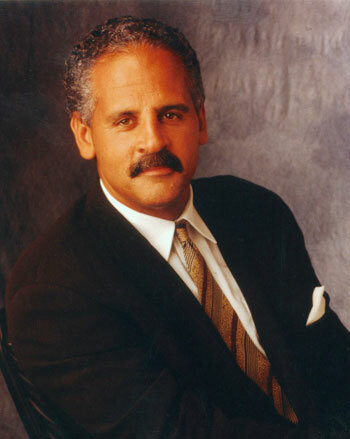 As someone known for his lifelong commitment to youth, the community and education, Stedman Graham will share how “You Can Make It Happen” with the students, faculty and staff of Sam Houston State University, as well as the Huntsville community, on Sept. 21. The 17th President’s Speaker Series lecture presentation will begin at 11 a.m. in the James and Nancy Gaertner Performing Arts Center Concert Hall. A book signing will follow from 2-3 p.m. in the Lowman Student Center Atrium. The educator, author and businessman is chairman and chief executive officer of S. Graham & Associates, a management and marketing consulting company that specializes in corporate and educational markets. Clients include Merrill Lynch, Wells Fargo, Monster.com, Harvard and Wharton Business Schools, and the U.S. Departments of Education and Labor. As a speaker, he presents, consults and conducts training with corporations, organizations and nonprofits on maximizing leadership, achieving success, growing a business, embracing diversity, achieving optimal health, and personal and professional branding. In addition, Graham educates individuals and industries on using “Success Circles,” a work-life balance tool he developed to make information and experience relevant to personal, professional and business growth. His latest release, “Diversity: Leaders not Labels,” shares his unique approach to eliminate barriers to success. Graham currently teaches as an adjunct professor for Temple University. He previously served as an adjunct professor at the University of Illinois-Chicago, where he taught a leadership course based on his “Nine-Step Process;” in the Kellogg Graduate School of Management at Northwestern University; and founded and directed George Washington University’s Forum for Sport and Event Management and Marketing, the first of its kind in the country. In 1985, Graham founded AAD Education, Health and Sports, a nonprofit organization of athletes and other civic leaders committed to developing leadership in under-served youths. The organization with more than 500 professional athletes has served more than 15,000 students through scholarships and education. He also serves on several boards to include the national board of Junior Achievement and the 7-Eleven Education Is Freedom Foundation, and is a member of the Economic Club of Chicago. Graham holds a bachelor’s degree in social work from Hardin-Simmons University, a master’s degree in education from Ball State University, and received an honorary doctorate in humanities from Coker College. Created in 2002 by SHSU President Emeritus Jim Gaertner and originally underwritten by the estate of the late Huntsville resident Lu Ellen Gibbs, the President’s Speaker Series is designed to bring prominent leaders to the Sam Houston State University campus. Speakers are chosen for their ability to deliver messages of substance with the potential to significantly impact the student body. Previous speakers have included Gene Stallings, Debbie Fields, David Robinson, Ken Jennings, J.C. Watts, Drayton McLane Jr., Sherron Watkins, Bob Dole, Marcus Luttrell, Lech Walesa and Tony Dorsett.